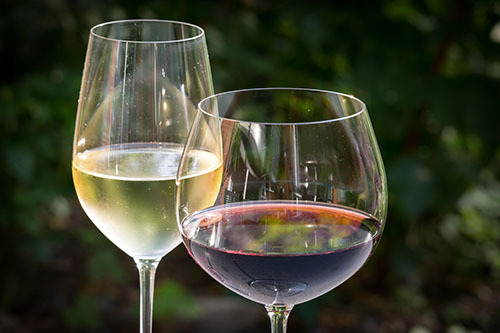 A consumer study by wine researchers at the University’s School of Agriculture, Food and Wine here at Waite has shown that far more than just influencing consumer choice, wine descriptions can alter consumer emotions, increase their wine liking and encourage them to pay more for a bottle. The study has been published in the journal Food Research International. “Choosing the right wine at the point of sale whether in a wine store, in a restaurant or online can be a difficult task,” says project leader Associate Professor Sue Bastian. The researchers conducted a study with Australian white wines and 126 regular white wine consumers. The consumers evaluated the same set of three commercially available white wines (Chardonnay, Riesling and Sauvignon Blanc) under three information levels: a blind tasting with no information; the provision of a basic sensory description; and provision of an elaborate/emotional description. Further to this, the results showed that if the expectations elicited by the wine description closely matched the actual liking from tasting, consumers felt far more positive emotions than if it didn’t meet expectations. This research was funded by Australian grapegrowers and winemakers through Wine Australia with matching funds from the Australian Government.